A cost effective method of promoting your products and services and protecting and securing items in transit. 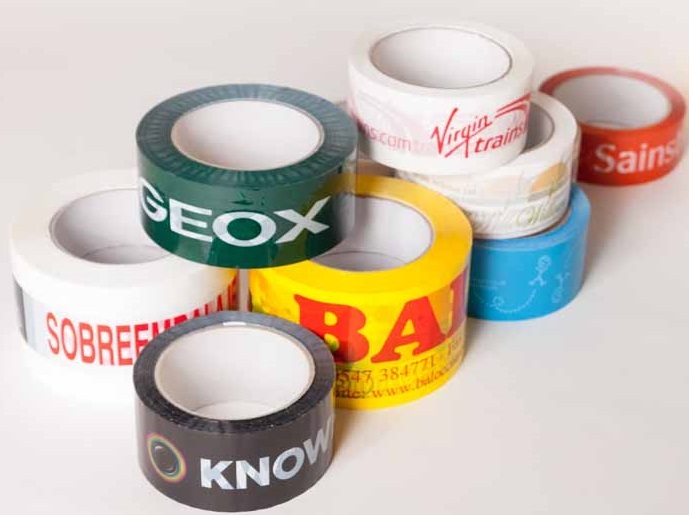 Choose from within our range of polypropylene, vinyl and solvent tapes to determine which is the best option. We will be pleased to provide samples before purchase. 1st January 2015 Special Offer - 50% off your origination and printing plates against your first order. All prices are inclusive of carriage (UK Mainland) but are exclusive of VAT at the prevailing rate at date of invoice.